Hi! I’m Alice, the creator of Dining with Alice. I’m a mom to two school-aged kids and I’ve turned my passion for food and writing into a blog where I help moms savor and celebrate motherhood. I also work outside the home and understand the pressures of making weeknight meals, having a weekly meal plan, and trying to balance all of your priorities. 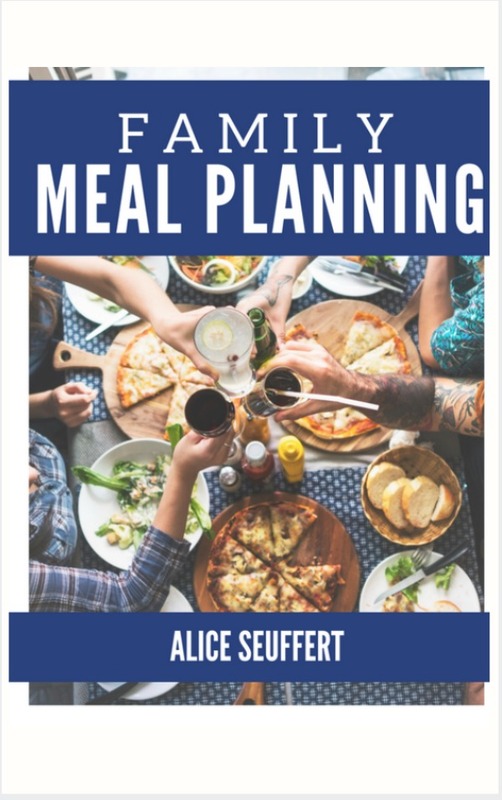 All of this is really hard and with this ebook, I'm going to give you some tools and ideas to help you with your weekly meal planning so that you can really enjoy the time you have with your family. Thank you for purchasing this book. I'd love to hear from you about the strategies that have worked for your family. Please connect via social media or email! -Printable Worksheets: Inventories for freezer, pantry, and fridge. All of this for just $5!